Caroline Pears is a passionate photographer, adventurer and content creator. When she is not chasing around after 4 children, a rabbit, a cat and a husband or teaching, Caroline can be found outside exploring with a camera in hand. 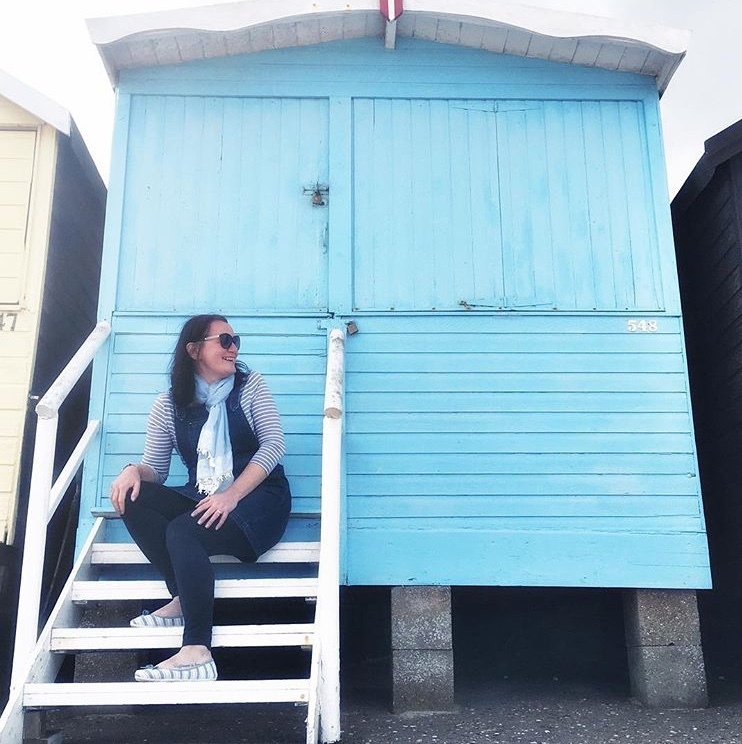 Caroline loves being outdoors especially near the sea and spends as many holidays and weekends as she can camping in with her family in their beautiful bell tent. Carolines idea of a great night out is sitting by a campfire enjoying a drink watching the sunset. When at home she can be found with a cup of tea in hand, faffing and creating flat lays, reading a good book or scrolling on Instagram. I would describe my style as minimalistic, seasonal and slow living. Blue is my favourite colour and creeps into most of my images I strive to create calm images as an escapism from the chaos of real life. Until recently I have used my I phone 6s to take the majority of my flat lay photos. i like to use the square photo function on the phone so I don’t have to crop the image after. However this year I invested in an Olympus OM-D. Although I am still teaching myself how to use it properly it’s fantastic and I find the tilting screen invaluable. When it comes to other equipment I use an old garden fence panel as my back drop and depending on the weather I either take photos outside of in front of my big bay window. All very high tech!!! Can you tell us why you love the theme 'White and Wood'? If you follow me on Instagram you will know I have a very minimalistic approach to my photos. I create simple images with natural materials. Can you share some of your favourite images you have created and tell us why you love them? I don’t often share photos of my interior but last year I embarked on a minimalist journey and de cluttered my house. It was so refreshing to have space on my shelves to faff. It is also a good representation of what I like books, music and plants. Peonies are the most glorious flower and need no faffing they stand out on their own. Simplicity personified. I am quite a shy person and even though sometimes I have an idea in my head about being more creative with my shots out in public. I feel uncomfortable if I think people are watching. Although over time I have adjusted and I absolutely love this shot. 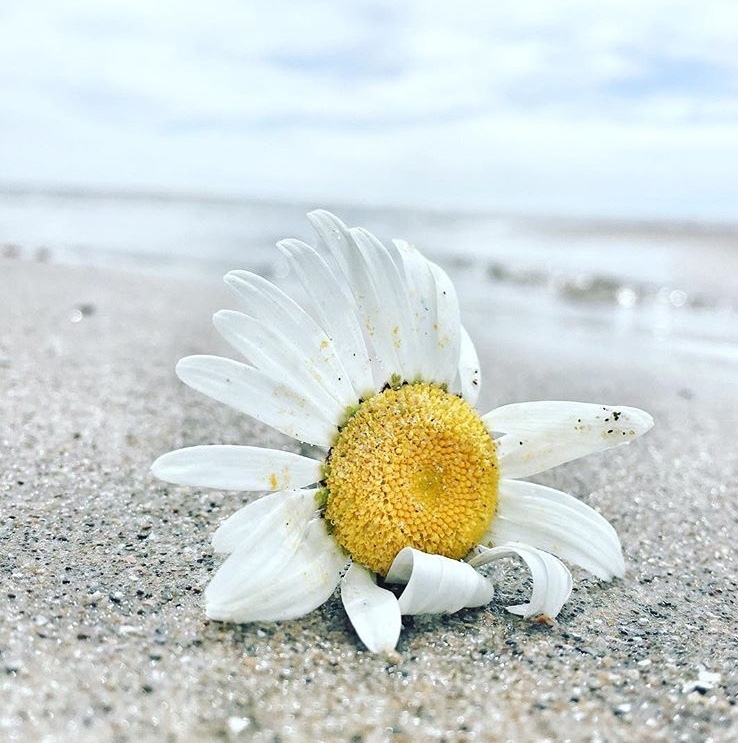 It combines my love of flowers and my favourite place, the beach.